Some people come to work every day, do their job and then go home. Their heart isn’t really in it, but they need the money, so they see their job simply as a means to an end — money. As a result, they do the bare minimum to get by, and their work — and your customer service — suffers. So how do you inspire your team to deliver superior results? 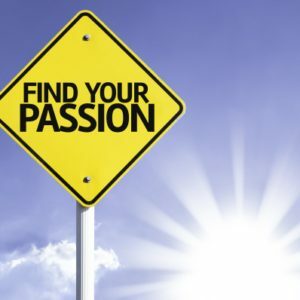 Here are five ways to ignite the passion in your team. To inspire passion in others; you must first be passionate yourself. People follow someone who is passionate versus someone who is just going through the motions. First, believe in what you’re doing and that conviction will spread. You can’t ignite passion with a wet match. Try to incorporate some of this extra talent into worthwhile projects in the office. People who feel appreciated and acknowledged are happier and more likely to stay motivated. They will feel proud of what they do and work harder because their heart is fully committed. Nobody likes to go to work and face an endless stream of tedious tasks, day in and day out, with no inspiration in sight. Most people want to do the best job they can and are practically begging for somebody to bring back the spark. Creating a positive “buzz” in the office radiates energy and makes people enjoy coming to work. Banish negativity and you’ll increase productivity and motivation at the same time. If it’s appropriate, encourage your team to personalize their work environment to reflect the team personality. If you have a few teams, you may even encourage some friendly rivalry. Having fun at work makes it a happier place to be and keeps the team motivated if they see that you care about their happiness as well. Taking your job seriously is not the same as taking yourself seriously. Have some fun in the way you deliver exceptional customer service. Customers like dealing with happy motivated people. The best leaders regularly provide their teams with opportunities to improve skills, maintain team spirit and provide input into aspects of training and the working environment where they see opportunities for improvement. It’s very important that your team is fully prepared and able to deal with any issues that customers may have. If their training is insufficient, they may feel inadequate. This can cause problems in the level of service and allow negativity to creep in. Encourage an open door policy with the team so they feel that they can ask for training or coaching without feeling stupid or inadequate. Nobody likes the feeling that a boss is looking over their shoulder all the time. While you have the responsibility for the work that’s being done, allow people to do their job and don’t micromanage them all the time. Give them the opportunity to take ownership of a project and receive the accolades of doing a great job. They will develop a better sense of self-worth and will work hard because they want you to know that they are reliable and will get the job done. People get a chance to shine if they can roll up their sleeves and work hard to achieve the assigned tasks — and receive the corresponding praise and recognition for a job well done. Employee satisfaction is a rational response to pay, benefits and scheduling, but employee engagement is an emotional connection with the organization and its values. These are just five of the many ways you can ignite the emotional passion in your team and help them take responsibility for their actions. You’ll encourage them to feel a sense of pride and confidence in what they do. They will feel appreciated because they can perform their roles in a more capable manner. Leaders know an inspired, passionate person can achieve great things.